In one way or another, Sir Archibald Alison contrives to be a good deal before the public. What with a History of Europe from 1789 to 1815, a ditto from 1815 to 1852, a Life of Marlborough, four or five volumes of Miscellaneous Essays, and “ laborious professional avocations"—which would seem, however, to have considerable “intervals,” inasmuch as they admit of the composition of such light reading as we have referred to—Sir Archibald, one would suppose, must find enough to do. But such is hardly his own opinion. Wherever Scotchmen congregate, Sir Archibald comes down, a Deus ex machina, a demigod with a return ticket, to deliver his judgment upon all things and persons, military and political. Within the last few months, besides a considerable amount of oratory, he has published the fourth volume of his History of Europe, No. 2, and completed the publication of a railway edition, in weekly numbers, of his History of Europe, No. 1. As it is upon the latter of these works that his reputation principally depends, we propose to confine our present remarks to it, or rather to that portion of it upon which those who do not profess to understand all arts and sciences can express an opinion. We can only say that if, when Sir Archibald writes upon tactics, he is as hasty, as inaccurate, and as illogical as he is when he writes about politics and literature, he ill deserves the reputation he has acquired as a military historian. The mass of materials collected, and of books quoted by Sir Archibald is so great that it would be quite impossible, within our present limits, to attempt any kind of examination of any considerable part of them. Observing, therefore, that he has given the fullest facilities for the verification of his statements, and that hastiness and inaccuracy are the worst charges which can be brought against him, we must say that there are so many mistakes and contradictions apparent on the face of his book that we cannot but feel very great doubts as to his substantial accuracy in more important matters. In vol. i. p.101, note, occurs a translation of Lacretelle's account of Damian’s execution which ends thus—“and finally he was broken on the wheel." Lacretelle's words are—"enfin on l'ecartela." If Sir Archibald did not know that “ecarteler” meant “to quarter," he might have remembered “Luke's iron crown, and Damien's bed of steel." In vol. ii. p.125, it is said that William Pitt was born “on the 28th May, 1759." In vol. ii. p. 126. he is spoken of as being “a young man of six and twenty" in January 1784. At p.127 of the same volume, we are told that Burke's “early proficiency in learning was not remarkable." Two sentences further on, it appears that he was sent to school at thirteen, where his great powers soon developed themselves." Again, Sir Archibald says of the same great man, that whereas he was in the early part of his career distinguished for strength of judgment and memory, “it was not till late in life that his imagination shone forth with such lustre, a peculiarity common to him with Milton, Shakspeare, Bacon, and many other of the greatest poets and orators that ever existed." The thought is adopted (without acknowledgment) from a well-known passage in Mr. Macaulay’s Essay on Bacon, but Mr. Macaulay confined the parallel to Burke and Bacon. Sir Archibald has added Milton, Shakspeare, and the many others," by way of a flourish. If he wrote less at random, he would remember that Lycidas is almost entirely composed of imagery, and that the most exquisite creations of Shakspeare’s imagination—Ariel and Caliban —are to be found in one of his earliest plays. Sir Archibald has rather a turn for this kind of quasi plagiarism. Having in his mind Tindal's well-known description of Lord Chatham’s oratory (quoted by Mr. Macaulay), as being “less diffuse than Cicero, more ornamented than Demosthenes," he tries his hand upon Montesquieu in the same manner, and describes (i. p.75) his style as “less eloquent and ornate than the first of these Roman writers" (Cicero), “less condensed and caustic than the last" (Tacitus). It would have been well if Sir Archibald had remembered Mr. Macaulay 's criticism as well as his quotation:—“The vogue which this unmeaning phrase has obtained, may serve to show in how slovenly a way most people are content to think. It would be no very flattering compliment to a man's figure to say that he was shorter than the giant O'Brien, and taller than the Polish Count, thinner than Daniel Lambert, fatter than the Anatomic Vivante." In vol. ii., p. 122, occurs a paragraph, to which the reference in the Index is, “Slumber of the national mind of England during the 18th century." Considering that in this century there lived and died, amongst others, Addison, Swift, Pope, Bolinbroke, Shaftesbury, Mandeville, Butler, Hume, Reid, Mansfield, Thurlow, Johnson, Gibbon, Robertson, Burke, Chatham, Pitt, Henry and Charles Fox, Brindley, Arkwright, Watt, and John Hunter, this statement is surprising enough. But this is not all. It appears that during “the greater part of the 18th century, England slumbered on, contented, prosperous, and for the most part inglorious." Did Sir Archibald never hear of the establishment of the Indian empire, the conquest of Canada, the settlement of North America, the consolidation of the Revolution Government in spite of two unsuccessful rebellions, the great Parliamentary struggles which overthrew Walpole, and those which were excited by the arrest of Wilkes, the battle of Fontenoy, and the declaration of American independence? The negative of this question is supported by the circumstance that he goes on to assert that “the administration of Chatham and the victories of Frederick alone cast a fleeting lustre over the general monotony of the period." On the other hand, he mentions the victories of Rodney, the defence of Gibraltar, and the blockade of Plymouth, in the preceding page. The fact appears to be, that on that particular occasion Sir Archibald wanted to make a moral reflection about “the erroneous views of philosophers on the tendency of human affairs," to which he considered the paradox we have noted to be essential; and he consequently ventured on it, though it was not only absurd on the face of it, but was contradicted by the page before. The truth is, Sir A. Alison's style is the necessary result of the fundamental fault of his history. It was, he informs us, “the recreation of many years during the intervals of laborious professional avocations.’ It bears every trace of its origin. To write the History of Europe from 1789 to 1815 would employ, not the leisure moments of one man, but the united labours of many. His book contains, as it at present stands, sketches of the history, geography, and social position of England, France, Austria, Prussia, Russia, Spain, the Netherlands, Switzerland, Turkey, and the United States of America. It comprises a detailed account of all the wars which occurred between the European nations during the period in question, besides Sir Arthur Wellesley's Indian campaigns. It gives the whole history of the internal government and policy of the principal nations concerned. It discusses the doctrines of some of the most remarkable writers of France. It glances at all sorts of subjects connected with the literary and moral condition of England. It aims at being a standard book upon tactics. In short, there is hardly a subject on which Sir A. Alison has not held a sort of amateur commission of oyer and terminer “in the intervals of laborious professional avocations." It is not given to any man to be, par parenthese, a Thucydides, a Tacitus, a Guizot, a Hallam, and a Jomini, all in one; and if he is determined to aim at this impossibility, he must wield a pen far more ready than impressive. So that Sir Archibald considered that it was the same thing to say, “I will do it if I can, and I will do it if I cannot.” In the resent edition, Pope's translation is substituted for the Greek, but Sir Archibald does not see that the note contradicts the text. ‘Fancy, then, some five full-grown millions of gaunt figures, with their haggard faces, starting up to ask virtually this question, “How have ye treated us; how have ye taught us, fed us, and led us, while we toiled for you?" The answer can be read in flames over the nightly summer sky. “This is the feeding and leading we have had of you. Emptiness of pocket, of stomach, of head and of heart. Behold, there is nothing in us; nothing but what Nature gives her wild children of the desert—ferocity and appetite—strength grounded on hunger." “It was thought," says Young, " the people from hunger would revolt, an we see they have done it. . . . . . . Ferocity, atrocity, hunger, and revenge" did “such work as we can imagine." “Judge not, that ye may not be judged," said a wiser than either of these writers. Which of the two best obeys the precept—he who states the fact, but does not presume to allot the guilt, or he who curses the French through many volumes, and determines, in several successive paragraphs, “who did wrong at this stage of the Revolution"? With all his indignation, we cannot find that Sir Archibald has any particular principles, except hatred of “revolutions passions.’ He rages at them on every possible occasion. We have the most wonderful exposition of his principles upon this subject in vol. i. 207—9. “A Revolution," he says, “is the result of a diseased state of the national mind" (the italics are his own). It arises from a spirit “wholly distinct from the love of freedom." “Hypocrisy is the invariable characteristic of the Revolutionary principle." It is “characterized" always “by a total and avowed irreligion." The Revolutionist is “ever willing to fall down and worship the most frightful tyranny," and lastly, the “springs of Revolution are to be found in" the circumstances which give “vice an ascendancy over virtue." This is meant for a description of Revolution in the abstract; but, in the next page, Sir Archibald is seized with an uneasy consciousness that, though it describes pretty accurately his own notion of the French Revolution, it does not fit any other. He wishes to argue that the events which took place in France illustrate the truth that Revolution is always diseased, hypocritical, atheistical, and tyrannical. It suddenly occurs to him that it would be hard to show that the Revolution of 1688 was tyrannical; that the League or the Huguenots were atheistical; that the Jacquerie was hypocritical, and so on. Finding, therefore, that the major premiss is inconveniently large, be cute it down to suit the minor. Wat Tyler's rising was not a revolution. The change of dynasty in 1688 "has been erroneously" so “called." Then the Puritans were not irreligious—so what is called the Great Rebellion was not a revolution. The Reformation was not a revolution. In short, the only revolution known to history (except one in Rome) was the French Revolution. When the major and minor coincide, the usual consequences follow; and we get the identical proposition, that, as there never was any revolution (worth speaking of) except the French, which was atheistical, tyrannical, hypocritical, &c" therefore all revolutions are atheistical, &c. There never was any genuine Alison except Sir Archibald, who is an historian; therefore all the Alisons are historians; and therefore Sir Archibald, being an Alison, is an historian. Apart from the logic, there is something pitiable in the narrow resumption of the conclusion. "It was the coincidence" of “the taille, the lettres de cachet, the privileges of the noblesse, and the sufferings of the peasantry," &c., “with a total disruption of the moral and religious bulwarks of society," which reduced the disaster of France. "Voltaire and Rousseau stand forth as the real authors of the Revolution; for it was they who tainted the mind, in both its assailants and defenders, with the fatal gangrene of individual selfishness." Sir Archibald does not see that he might as well any that it was the coincidence of a broken leg with pain that rendered amputation necessary. Wisely says Mr. Carlyle, on the same theme, "To gauge and measure this immeasurable thing, and what is called account for it, and reduce it to a dead logic-formula, attempt not. Much less shalt thou shriek thyself hoarse cursing it, or that to all needful lengths has been already done." It is not only in respect of France, however, that Sir Archibald self-sufficient verbosity is a grief to the spirit. His English politics are just as bad. For example, in vol ix. p.288, we have a wonderful jeremiad over the Sinking Fund. The 3rd March, 1813, was, it seems, “one of the most disastrous days ever known in England,"for on that day we first began to break in upon the system. After praising the Sinking Fund, however, through many volumes, in the most persevering manner, Sir Archibald at last finds out that it was, perhaps, a little unwise to pay our debts with borrowed money, especially when we borrowed at 5 1/2 or 6 percent to liquidate debts contracted at a lower interest. With characteristic versatility, he changes his ground as soon as the thought crosses his mind. It was not, he intimates (p.89), giving up the Sinking Fund, but giving up the extra taxes which supported it, which did the mischief. The answer is obvious—that it was not the Sinking Fund, but the surplus revenue, that did any good. In fact, the Sinking Fund was not, and could not be, anything but a particular way of applying the surplus revenue; and during a time of deficit it was not only useless, but cost large sums in management. 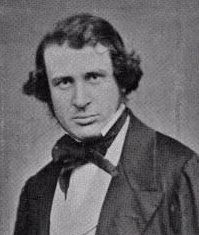 Yet Sir Archibald has the naiveté to say, “If a man adopts a regimen which improves and ensures his health at ordinary times, we never think of condemning it because he accidentally takes the typhus fever, and during its continuance the good effects on the system are overlooked.” If a man improved his digestion, when in health, by walking round Hyde Park every morning before breakfast, we suppose that if he took a fever, Sir Archibald would advise him to keep up the habit by getting an expensive invalid carriage so contrived as to take him over his accustomed round without his being aware of it. In estimating the policy of repealing the Sinking Fund taxation on the return of peace, Sir Archibald never takes into account the increase of the material resources of the country, by the diminution of imposts. He seems to think that if a person, having a mortgaged estate, and paying interest at 4 per cent were to receive a legacy, and to invest it at 6 per cent, instead of paying off his debt, he would be as much a loser as if he threw the money into the sea. If the peculiar Scotch doggedness and perversity which never will be convinced or comforted—which persists in considering England a ruined nation, and takes a gloomy pleasure in the contemplation of “the comer-stone of revolution, general corruption"—were relieved by Scotch humour or shrewdness, we should have more patience with Sir Archibald; but he has little appreciation either of the picturesque or of the ludicrous. Compare the following descriptions of the scene of “Oh, Richard! oh. mon Roi! " After all, in our days there are histories for women, for children, and for all sorts and conditions of men. And Sir Archibald writes for the majority. It would be ill-natured to deny him very great merits. He vies with Mr. Dickens in popularity, and we do not wonder at it. Much no doubt is due to the surpassing interest of the story, but a great deal is owing to the qualities of the writer. Though hasty and incorrect, his style is full of life, energy, and spirit. You see that his book is a labour of love, and he careers over all sorts of subjects with a cheerful gloominess and a complacent despondency which are by no means unpleasant condiments to a no very fastidious appetite. In describing the decline, and foreseeing the fall of his country, Sir Archibald is not inaccessible to the consolations which may be supposed to solace a cheerful undertaker as he looks on at a magnificent funeral. It is impossible not to feel kindly towards a man who so thoroughly enjoys himself. If he would have his hobby better broken-in and more carefully groomed, no one need desire a better animal. If his twenty volumes were cut down into some live or six, the rush and riot of life which now leads him into a thousand mistakes and inaccuracies would impart to his style a force which would raise him to a high rank amongst historians. As it is, he is not to be taxed with any of the graver historical sins. He is honest, impartial, and truthful, however inaccurate and illogical. His superiority to the herd of book-makers, who are the plague of the day, is for more marked than his inferiority to the great historians who are its glory. Saturday Review, December 22, 1855.